Let me begin this article by stating, for the record, that there is no original thought in this rig. This is not to denigrate the article or my thinking in the 1st line but there is very little “original thinking” in 99% of carp rigs today. Almost all carp rigs are just an evolution on someone else’s ideas or are designed to encourage people to buy more rig components. The main exceptions to this in recent years ( after the hair rig) have been the Drig, the Chod rig the combi rig ( and coated braid ) and the now ( thankfully) banned “bent hook” rig. There have possibly been more but these are the ones that I can think of and the ones that I use or have used on occasion. This rig is the product of several years of thinking and would not have been possible with out ” a little help from my friends”. To explain, earlier in 2009 I was a little annoyed that I couldn’t get a good hook hold which was strange as when I 1st started to use long shanked hooks that is all I got but over time I managed to migrate to short hairs and stiff flurocarbon and the hook holds got poorer and poorer. Then a chance discussion with a mate ( who is sponsored) and an impromptu rig clinic on the bank and I was set straight. later in the year whilst on a fishing holiday I had the chance to have a good look at a mates rigs and ( with his permission) incorporate a good chunk of what he was doing into my rig design. Not only did catch rates improve but also losses decreased which was crucial at the time due to the hard fighting nature of the fishing the lake. Well after my lovely wife bought me 3 Fox Stratos FS1200e’s I had to just get out there and use them. This review is a little late in coming as I have been busy using them. The Reels, well 1st thing you notice is that they are super smooth. There is no sense of wobble when you reel in fast with them that is common with other big pit reels. 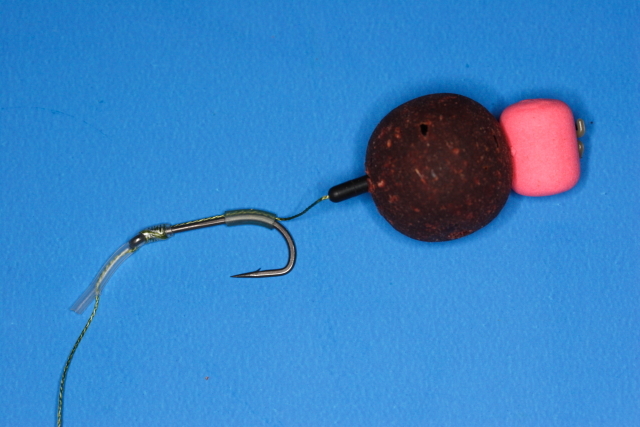 the clutch is smooth as silk and the bait runner is as positive as you could ever wish for. When I was debating what to ask for as a present I was considering the magnesium versions but after seeing Ian “Chilly” Chilcott cranking in a big conger with the graphite versions my mind was made up. Regarding the clutch, a lot of people back wind, I am not one of them and believe that the clutch is there for a reason. In France this year the clutches were tried out to their limits with carp to 39lbs being landed and several times the clutch saved me when a fish made an unexpected turn. On previous reels I had been used to a “grabby” clutch and so had the clutch set far far lighter then I normally would, not so with these reels, it is set dead on as I have that much confidence in it. The Stratos 12000FSe’s are not only silky smooth but thanks to their graphite bodies they are super light as well. For any of you that doubt the long term durability of graphite in reels I draw you attention to a set of old graphite bait runners which are 18 years young and still going strong and are used today for lure fishing. Casting is a dream with large coils of line looping up the rod with every cast and there is a little rubber “wiper” between the rotor arm and the spool that stops any line causing a nasty tangle should it ever get loose. One thing you have to get used to if you have been a shimano person is that on the fox reels the baitrunner lever “goes the wrong way” ie it is against the reel body when disengaged and popped out when engaged. This seems non logical at 1st but then you realise that it is better to have the lever out of the way when playing fish ! Over all I love these reels, out of the box they will add a huge amount to your normal cast allowing you to explore areas of the lake that were impossible before. The build quality is second to none and they are available at a price that must make other reel manufacturers wince. Rating : Good solid buy.